Designed for applications where simultaneous delivery of identical volumes of fluid is desired. A high-resolution servo-controlled actuator can control 8, 10, or 12 ceramic pump modules at once. 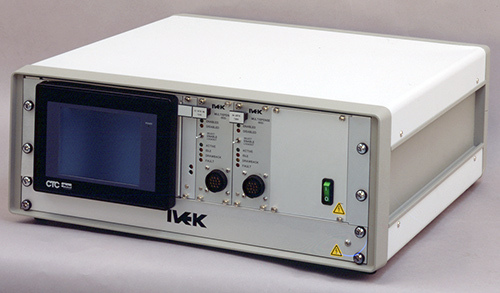 All parameters are digitally selected via RS232 computer signal or touch screen interface. The Multispense® 900 multiple channel system is similar to the 2000 system except it uses our Rotary pumps. Multispense® systems can be custom configured, thereby providing capability of 31 dispensing channels from a single controller module. Additional controllers can be interfaced to provide as many channels or pumps as needed. These controllers include easily accessible Eurocard channel boards and standard RS232 interface port for programming operating parameters via either a user-supplied computer or touchsceen interface. 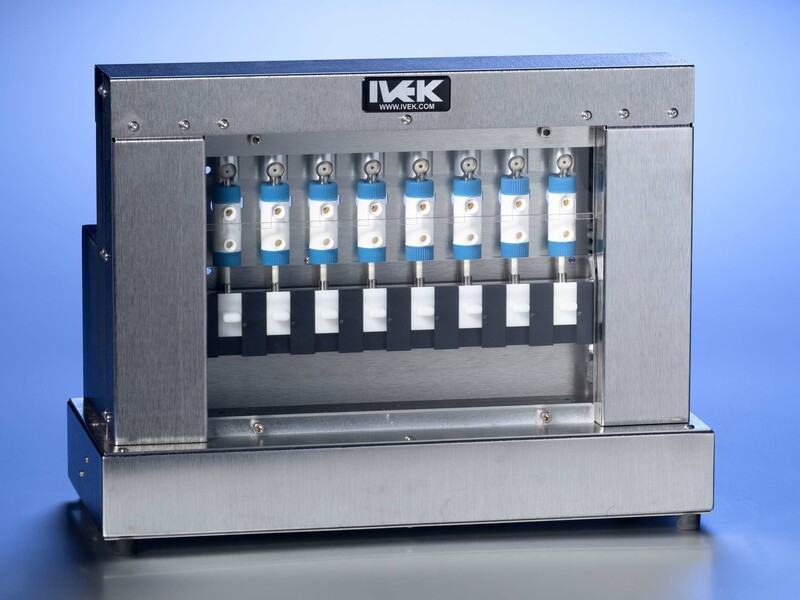 Designed to deliver precise fluid volumes in a multi-channel configuration. Microprocessor-based controller drives multiple linear actuators that operate precision ceramics to displace the desired amount of fluid. 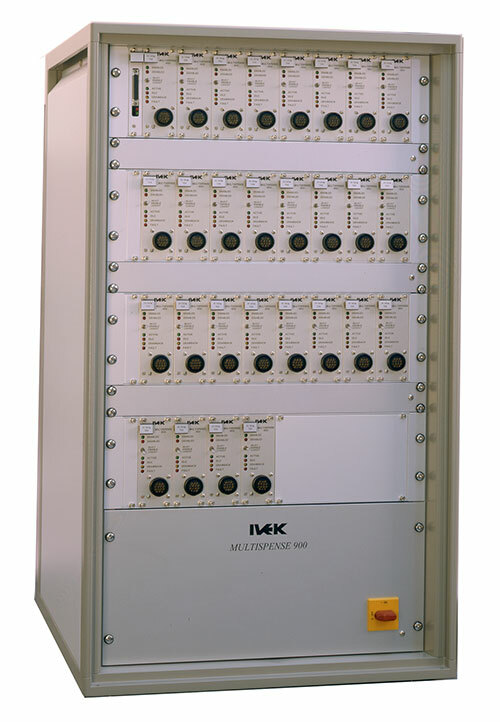 Single controllers to 31 channels, with additional controllers, can be interfaced to provide as many channels or pumps as needed. All operating parameters entered via RS232 or remote touchscreen.